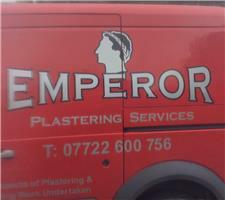 Emperor Plastering - Plasterer based in Ryton, Tyne and Wear. Hi, I am Dan the owner of Emperor Plastering Services. I have been plastering for over 22 years and have a wide range of plastering skills. I have been self employed sole trader for over 8 years with a excellent repeat customer base and a excellent reputation. We are very reliable and clean and treat every customer with the up most respect . We provide a great internal plastering serve aswell from skimming new builds to re-skimming old walls to make new. We also do dry lining, plaster boarding floor screeding & artex cover ups.